TradersHelpDesk offers state-of-the-art indicators for TradeStation, Multicharts, and NinjaTrader 8. Our indicators are based on average true range, volume analysis, momentum, and divergence. To purchase any of the indicators, simply click on the indicator or visit our packages for combination packages that include the indicators and training. If you are unfamiliar with the trading platform or need help installing the indicators, workspaces, or templates, then Gail can install for you. The fee for installation is $75 and you will need to download the free version of TeamViewer to complete the process. *A one-time handling fee of $99.00 will be added to your shipping total at checkout. The Trend Support and Resistance indicator (Trend SR) identifies both prior support and resistance areas based on pivot high and pivot low formations. This makes setting stops easier and also makes identifying price patterns like double tops and bottoms much easier. The TradersHelpDesk Ranges indicator plots the average high and low of an opening period and continues to plot the range for the remainder of the day. If price is trading above the range, expect an up day and if trading below the range, expect a down day. Additionally, the ranges can be used for identifying a higher timeframe retracement as price will often come back to the opening ranges. Candlestick Patterns provide an easy way to understand where price is likely to go or when you need to exit. In this online video course, Gail Mercer, founder of TradersHelpDesk, teaches you how to read single, double, and multiple candlestick formations. 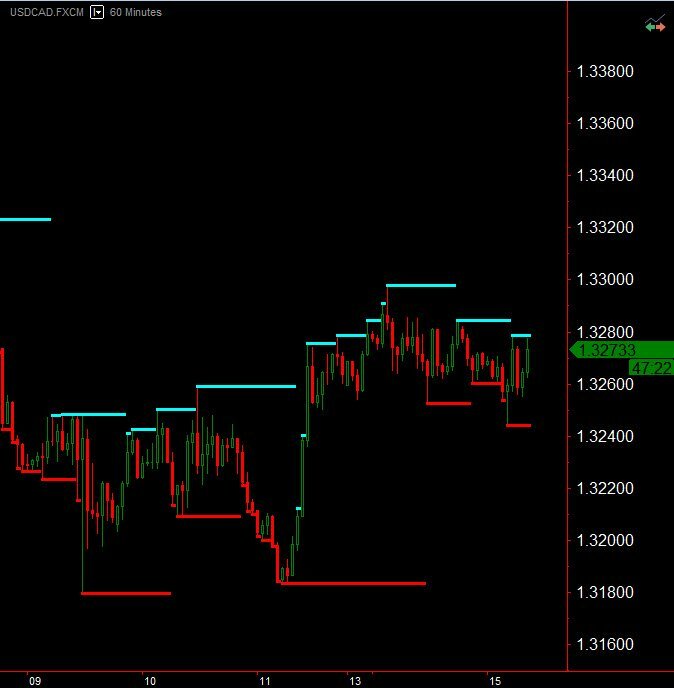 Then Gail shows you how to incorporate this technique into trading forex, stocks, futures, crypto, or Nadex Binary Options and Spreads. Included in the course is a sample trading plan for using moving averages and Gail reviews how you could also build a trading plan by combining the moving averages with the MACD. How do the markets move? They move up until they find resistance and then they move down until they find support and the process starts over with price searching for resistance. In this online video training course, Gail Mercer, founder of TradersHelpDesk, teaches you how to use support and resistance to enter and exit trades. Traders never want to buy the high or sell the low but what is the easiest way to identify when not to buy or when not to sell? The answer is using oscillators for identifying when markets are over-extended. In this course, Gail Mercer, founder of TradersHelpDesk, teaches you how to easily identify overbought and oversold markets and how to utilize the technique for trading today's markets. 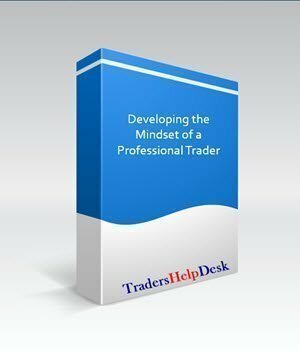 Sometimes traders need extra help -- a little one one one time with a professional trader. Gail's coaching sessions are designed for those that are having trouble overcoming all of these are just a few. These coaching sessions are designed specifically for the trader based on their unique issues. Gail does both online and in-person (in Greensboro, NC) mentoring sessions. Please note that a minimum of three hours is required, which is split into two 1 1/2 hour sessions. The RSI indicator with divergence is designed for intraday and daytrading currencies, futures, and commodities. The THD RSI and Meters easily identify overbought and oversold areas. These are areas where we can expect price to reverse or at least pullback. 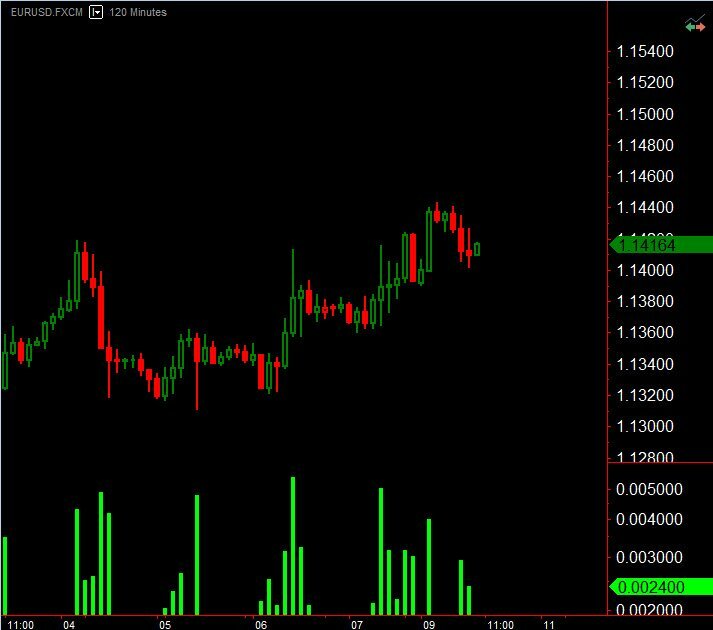 The Directional Volume indicator for forex, futures, commodities, and binary options is a MUST have for both beginners and experience traders because it actually leads price. By learning how to read the directional volume indicator when trading forex, futures, and commodities, you will know where price will go in the future (which makes trading binary options easy and profitable). The Congestion Zones indicator uses a multiple timeframe support and resistance algorithm to identify where support or resistance is encountered on the higher timeframes. These lines magically pull price to them. Then simply use volume analysis to determine if price will continue or retrace. 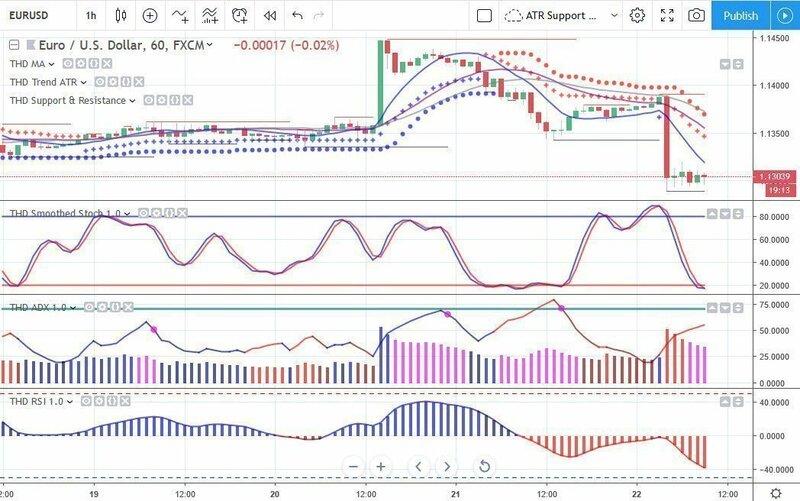 The Volume Divergence suite of indicators identify when markets are about to reverse (trend divergence) and when there is divergence at the Average True Range Stop Loss indicator or a Slow Moving Average. One of the most powerful indicators is the ADX indicator for Futures, Forex, and Commodities. It easily identifies when price will pullback to an average true range stop loss indicator, when price will retest a high or low, and when price is overbought or oversold. It is a must have for any intraday futures, forex, and commodities trader! The Trend and Average True Range stop loss indicator is one of the most powerful indicators that Gail has designed. 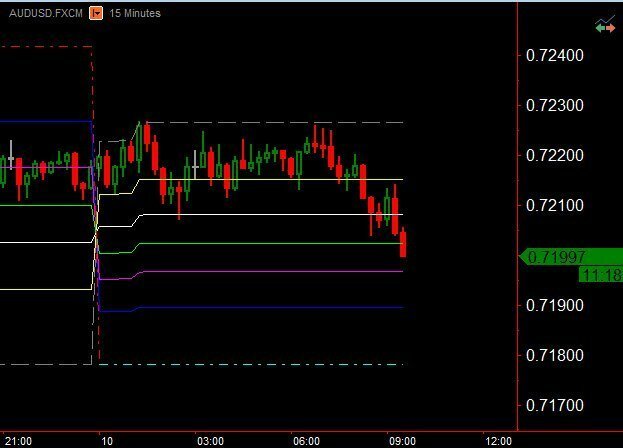 It identifies the trend, the average true range trailing stop, wide bar, reversal bar, and when price is “close enough” to the average true range trailing stop or congestion dot to take a trade on the live edge of the market. Plus, we have built-in alerts for when price is at the Congestion Dot or Average True Range Stop so you don't miss the best entries. The TradersHelpDesk Stochastic is a much smoother Stochastic and plots both the support and resistance for reading divergence very quickly. The RadarScreen (or Scanner) version also identifies very quickly which markets and timeframes are overbought or oversold. The TradersHelpDesk Stochastic Divergence indicator identifies when trend divergence is detected within a trend. If using with the THD Stochastics the trader can then wait for a retracement and identify hidden divergence for a low risk entry point. In addition to the charting indicator, the Stochastic Divergence for TradeStation RadarScreen is included. TradersHelpDesk ATR Support and Resistance indicators combines the support and resistance based on average true range from three different timeframes onto one chart. This makes trading multiple timeframes much easier for any trader. The NinjaTrader 8 upgrade is available and includes all the THD indicators that are available for NinjaTrader 8, including both for charting and the Market Analyzer (if available). You must own one of the TradersHelpDesk packages for NT 7 in order to upgrade to NT8. In the Guide to Successfully Trading Today's Markets in 90 Days - Beginner Level, Gail teaches you how to trade any market using basic indicators that are included in most trading platforms. The trading techniques taught in these videos and examples work on all markets, including stocks, forex, futures, cryptos, and Nadex binary options. Gail guides you along the path to to identifying your trade, identifying your exit points, how to identify more cautious periods, improving your results, and overcoming the obstacles that cause most traders to lose. The Guide to Successfully Trading Today's Markets in 90 Days is included in both the Silver and Diamond Packages. Take control of your trading! 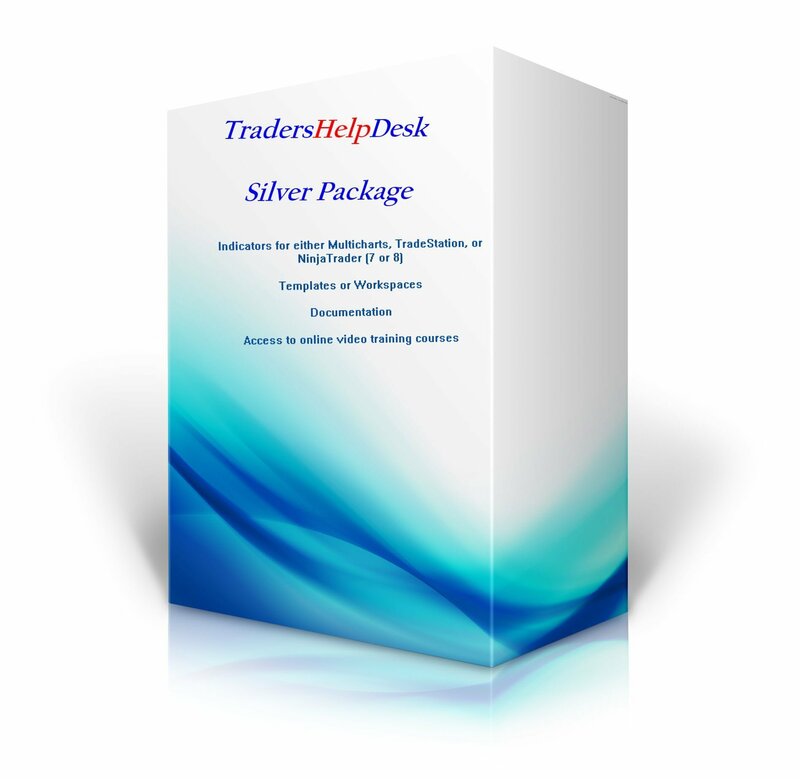 The Day Trading Indicators Silver Package provides traders with the trading indicators and training needed to be successful in today’s markets. The TradersHelpDesk indicators work on Forex, Futures, Commodities, Stocks and binary options. Traders can now take control of their trading with the TradersHelpDesk unique TradeStation Radarscreen, Multicharts Scanner, and NinjaTrader Market Analyzer indicators, as well as the charting indicators that instantly notifies the trader when a trade is setting up with sound, email and text alerts. Plus, using our risk to reward ratio of 1:2, means you simply double your risk for your profit target or trail your trade using our revolutionary trailing stop methodology.